Patio furniture or garden furniture is defined as the furniture that is placed in the garden to facilitate the pleasure derived in the garden. It is also called outdoor furniture because it is ideal for an open area. Patio furniture maintenance is the must needed criteria for perfect use of these products. Patio furniture includes tables, chairs, bars, cushions, and the likes. The patio furniture is made of different types of materials like wood, metal, plastics, fabrics, glass, concrete, wicker and bamboo. Because patio furniture is mostly exposed to sunlight and rays, they must be made from weather resistant material. Also, some canopy may be put to cover them to enhance their durability and longevity. Patio furniture is very attractive and pleasant to the eyes, but they can lose their value and beauty if they are not well maintained irrespective of the material used to produce them. So below are the maintenance measures to be put in place for them to last longer and retain their beauty. This should be general maintenance for all your furniture irrespective of the material they are made up of. One thing you must recognize as the greatest enemy to the beauty and durability of your patio furniture is dirt. So to avoid this, you must clean your patio furniture regularly else you will see that as time goes on they will start giving artificial color, and their beauty will fade off. Also, if proper care or further attention is not in place, the patio furniture will get damaged. Dirt can accommodate pathogens which may see your furniture as an abode, and this will not be good for your health and your furniture. To do the dusting of your patio furniture, most especially the cushion, water is not necessarily needed. All that you need to do is to get a very clean big duster that you can easily handle and use it on your furniture to remove the dirt. To make your patio furniture retains their charming look and their durability you need to wash and dry occasionally. Aside from dusting your patio furniture at least once a week, you should be washing them at least once a month to make them free from dirt totally. You can get a bowl of excellent and neat water, pour safe detergent and get a sponge or clean cloth to wash the furniture. Should not use any soapy water to wash wooden furniture because of their nature. You can as well make use of unused toothbrush to wash the corners in the furniture. Take note that as you wash plastic made furniture, ensure that you avoid scratching of the surface because it can easily be scratch and even break if not properly handled. Also, serious care should be taken when washing your glass made furniture to avoid damages and injury. After cleaning your furniture, you should ensure that they are well dried because leaving water on their surface is not good at all. 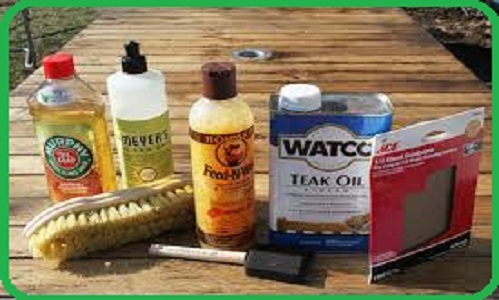 Water on the surface of wooden furniture makes it prone to attack from insects, and the surface of plastic furniture can become slippery and unpresentable. Water on the surface of glass furniture makes it look very blurred, while water on the surface of the cushion reduces its durability and causes a foul smell. You can use a very clean and dry duster to dry it and ensure proper ventilation for them after dryness. I will recommend that patio furniture should be given shade to make them last longer. What do I mean? Furniture exposed to sunlight will wear out quickly which is why you should use shades like an umbrella to keep it safe. For instance, a cushion that is exposed to rainfall has started the journey of destruction, plastic furniture that is exposed to prolonged sunlight will soon get destroyed, so it is imperative to get a shade for your furniture to be rest assured that they are safe from environmental conditions. This maintenance is essential to the wooden furniture to make them free from fungal and termite attack. They are the maintenance given to this type of furniture specifically before introducing them to the garden. This makes them last longer and retains their good look. This patio furniture maintenance makes the surface of patio furniture to become resistant to water and make them clean from dirt. Also, the wooden parts of the cushion can be given this kind of maintenance because it not reasonable to only concentrate on the parts of cushion made of fabrics at the expense of the wooden parts. There are many other means to maintain the patio furniture. Not all the time will you use the patio furniture, and when not in use, you should make use of covering cloth to keep the furniture safe and secured. You should cover the patio furniture surface with clothing materials made from cotton, linen, silk, etc. Apart from the fact that you are using the covering cloth to prevent rays and direct sunlight on the furniture, it also helps to reduce dirt on the surface to the barest minimum level. These clothing materials need proper care, as they ought to be washed once in a week, most especially when we are doing the dusting of our patio furniture. This is to make the surface of our furniture to look attractive continually. It is a general belief that what we use, must be taken good care of so that we will enjoy it to the fullest. This patio furniture is what you use to enhance your enjoyment in your garden, so they deserve proper care. Working with these tips above will make you have very good and lasting furniture in your garden. Enjoy your relaxation. We hope this tips will help you get the best of your patio furniture and also extend the lifespan for as long as you intend to use.